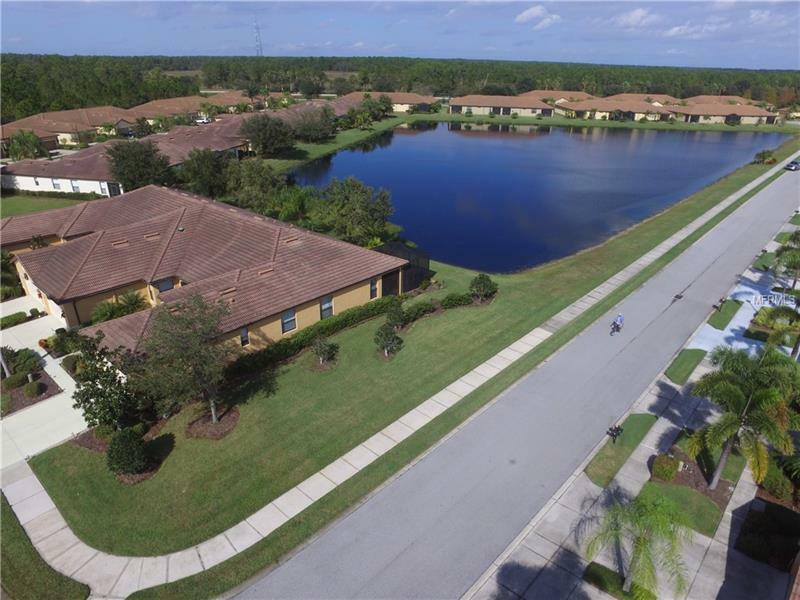 Beautifully landscaped 2 bedroom, 2 bath, 2 car garage Villa in Cypress Falls, a gated community! This spacious villa sits on a corner lot backing up to the amazing lake view. Screened and tiled front entry welcome you in. Sit on the back lanai and have a morning cup of coffee while enjoying the view of the lake and watching the wild life. You will be amazed at the state of the art clubhouse that features a ball room, internet cafe, game room, library, resistance pool, plus a separate heated pool, spa, and large patio area to visit with your friends and family. You can also enjoy all the wonderful outside amenities such as the tennis courts, bocce ball, horse shoes, and putting greens. Close to restaurants and shopping.